YOGA – Connection of Body, Mind & Soul How it helped me… First and foremost the 3 months of classes were really awesome. I learnt many things from here, it completely changed my life, each and every day was different experience to me. People around me were really encouraging it changed the perspective on how I looked at life now. It taught me everything – Life Lessons, Responsibility & discipline in life and also how to bring my body in control. 2. OBSERVATIONS – Well it gave me up space to ask questions in our teacher training course so that we feel supported on our journey. They were all super helpful Teachers.It made me always a smooth journey. 3. ABOUT INJURY – Well, was really satisfied with the Teachers because they pay special attention to injured students and suggest a modification to prevent them from aggravating their injuries. 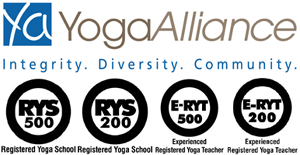 Teachers fulfill their duty of care even though it may be very difficult to monitor several injured students in a large and dynamic Yoga class. 4. 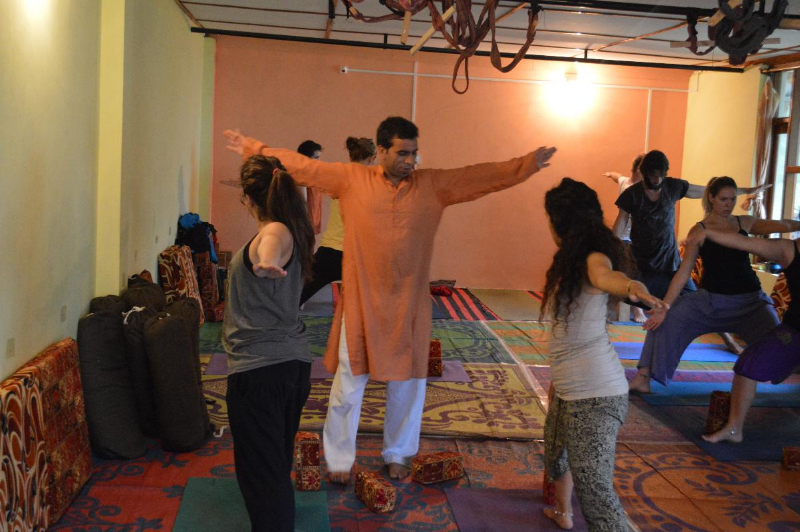 THEORETICAL CLASSES – theoretical classes were very good too and I understand much better now what is Yoga all the topics linked with Yoga like Meditation, Anatomy, Ayurveda, Pranayama, Bandhas and Mudras. The Teachers have all been very dedicated kind and knowledge. Overall it was really a good experience joining in Mahi Power Yoga center. Altogether the 500hrs of YTT was really awesome. It Changed me out to become a good student and a good tutor in future. Hope I will be coming for more classes and also learn more about the teaching techniques. Thank you so much Mahi Yoga and also to all the hard working TEACHERS. I Bow deeply to you in my gratitude for what you have taught to me. Thank you for this life changing experience. 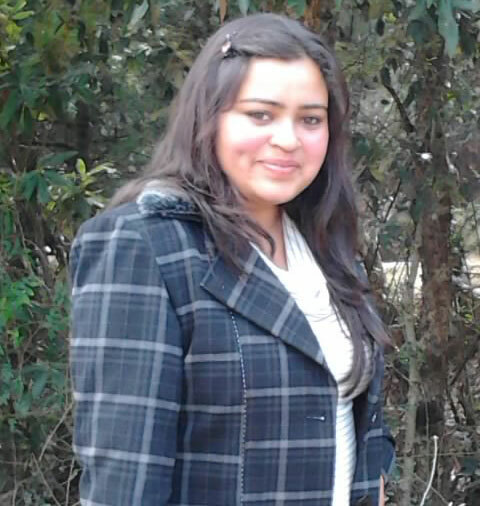 I had such a wonderful experience during my 200ttc with Mahi in Dharamshala. It was truly one of the best months of my life! Mahi and his team of teachers were so knowledgeable and supportive. 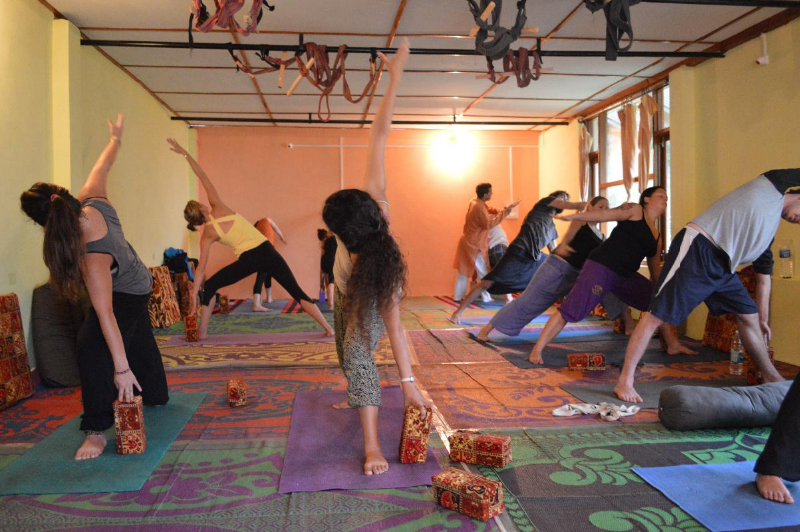 I learned so much not only about yoga but also about myself.i was given a chance of assisting in two batches of Yoga teacher training in Goa and Dharamshala. Every time it was a new experience to see Guru Mahi and akshey working on students to alleviate their health problems. use of props is very interesting and different tools are used in a varied manner there is a plenty of room to assist and teach in this school. I gained so much confidence from the course. The food was delicious and healthy. I look forward to doing my 300hour course next I highly recommend teacher training with Guru MAHI . 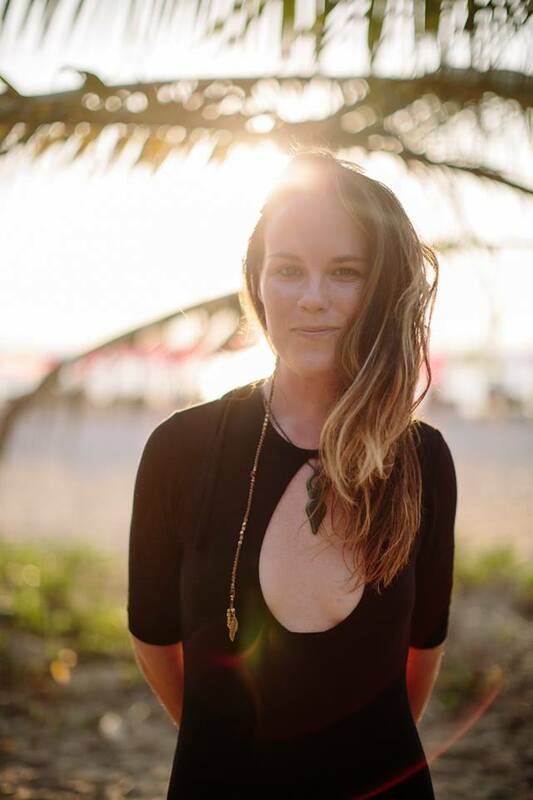 My name is Rose, I am from New Zealand I attended Mahi Yoga’s 300-hour Teacher Training course in November 2016. It was a wonderful experience of deepening my knowledge of yoga. As I had already been teaching yoga for some years it was very enriching to receive new ways of teaching and a deeper understanding of the body. I loved the therapeutic approach in Mahi’s classes, the morning Pranayama and evening meditations. The course provides a comfortable way to learn, with your own private room, nourishing food for your body and many teachers sharing their experiences with you. I would highly recommend this course as the teachings at Mahi Yoga school is of the highest standard. Hello, my name is Aselle and I’m from Kazakhstan. I had a really good time during my yoga course with the Mahi Power Yoga School. The location for doing yoga (Upper Bhagsu, Dharamsala) is a beautiful and fascinating one. It will inspire anyone who comes there. The mountains, waterfalls and the cool weather make for an excellent place to visit and charge yourself with all the natural energy. I really liked having a mixed team of yoga teachers (local and expert). 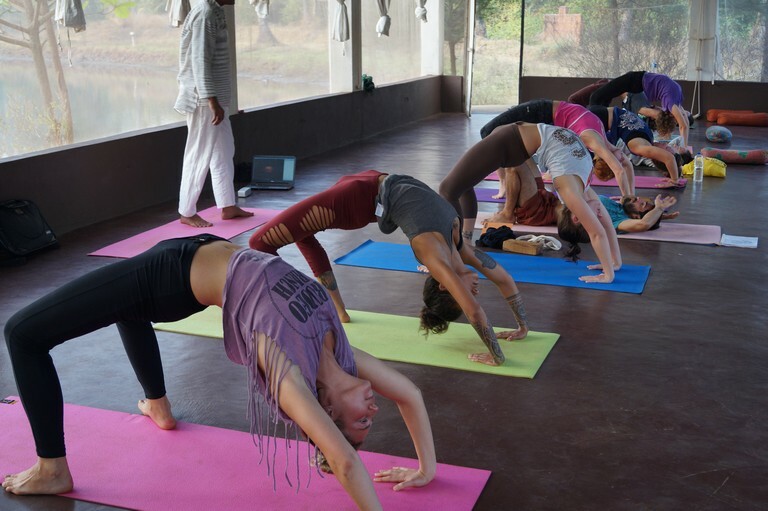 The Indian teachers teach their students the traditional Indian yoga. The expat teachers do much the same but with a slightly different approach to instructing yoga. The yoga course and the meditation practice are really intense but they allow students, even beginners like myself, to improve and develop rapidly. 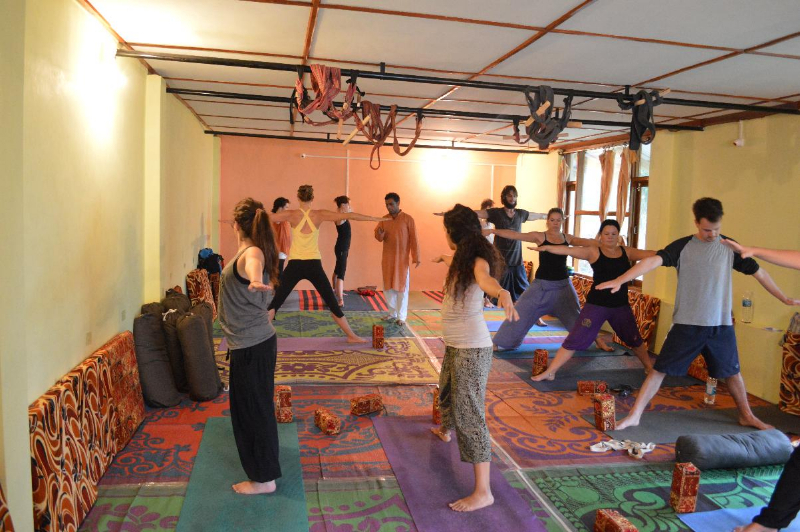 You will gain physical and spiritual strength as well as observe many other positive changes in a short amount of time.The accommodations and the food at the Mahi Yoga School are modest but adequate, they are very yogic indeed. 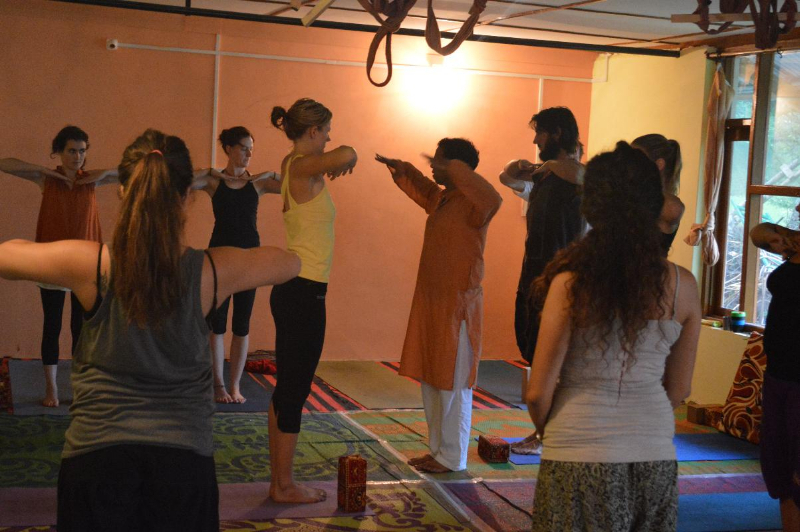 You can experience true yogic lifestyle even when you are not doing yoga The students come from all over the world and we had a great opportunity to get to know each other, different cultures, as well as other traditions. Many great friendships were formed and are sure to last well into the future. My experience doing yoga with Guru Mahi was a real transformation .he took us to the core of yoga starting from the Sanskrit mantras to the therapeutic ways of yoga and the cleansing practices pranayama and meditation. Many of us are doing yoga but we never know that whatever we are doing it is correct or not. Guru Mahi Guided us to do each pose anatomically correct and aligned.Use of Props made it easier for a beginner practitioner. I came to know about my body limitations and was guided how I can overcome these. overall learning was a real change internally and externally as well. thanks to Guru Mahi and the whole team. I met Mahi in 2011 in Goa and my knowledge about yoga was basic. I had taken a class in asana’s but was only aware of the physical aspects of yoga.Yoga was a “simply” work out for me before I went my journey with Mahi. The yoga teacher training was an intense, fantastic experience, the best decision of my life! He told us many mythological stories, history of the yoga tradition and his guidance on technique, alignment, anatomy, and adjustments was great. He incorporated acceptance and friendship into everything he did, making the class like a family. Since I met Mahi for the first time I went to India already five times and I can always learn something new about yoga. His hands-on adjustments show me I can go further than I think. As a teacher of yoga myself, I am grateful for his example in the art of teaching and his advice about what it means to teach. Whether you are a complete beginner or an advanced student, Mahi‘s devoted practice, and knowledge of yoga, his love of teaching, and his endless capacity to give make him a teacher who really transforms his students. Mahi motivated me to continue the education of yoga and study Indian Philosophy, history, and Sanskrit at the university. He is the true Guru. Guru means teacher in Sanskrit, but it connotes much more than that. A guru is someone who removes your ignorance, without whom you cannot attain the knowledge you are seeking. The most beautiful and love-filled words could possibly not describe my experience with Mahi. Thank you for changing my life Guruji. First of all, we learn discipline. We learn respect. We learn to obey others. Swallow your pride. Second, of all, we learn to do it correctly and detailed. Every part of your body is placed correctly, bone by bone – limb by limb – to get the right benefits, and the right flow of your blood and your prana out of the pose (asana). You will be pushed to your limits, but in the right way – the yogic way. Mahi also has a great vision of seeing your “problems”. With your body and your mind. And he can give you the right tools to move on. With your body and with your life. I am very happy I found Mahi and choose him to be my guide through the yogic path.You don’t have to follow all the path. Follow the ones that are close to your health. From the first yoga class I took with Mahi I fell in love. I felt like this was what I have been looking for in a yoga teacher! it was 4 years ago at 2008 and I am still coming back for more. Mahi has a wonderful way of teaching, with an amazing amount of knowledge and sensitivity. He has a way of getting you to places in your practice you never been before. he is a great guide and an awesome guy!! see you in the TTC course 2012. 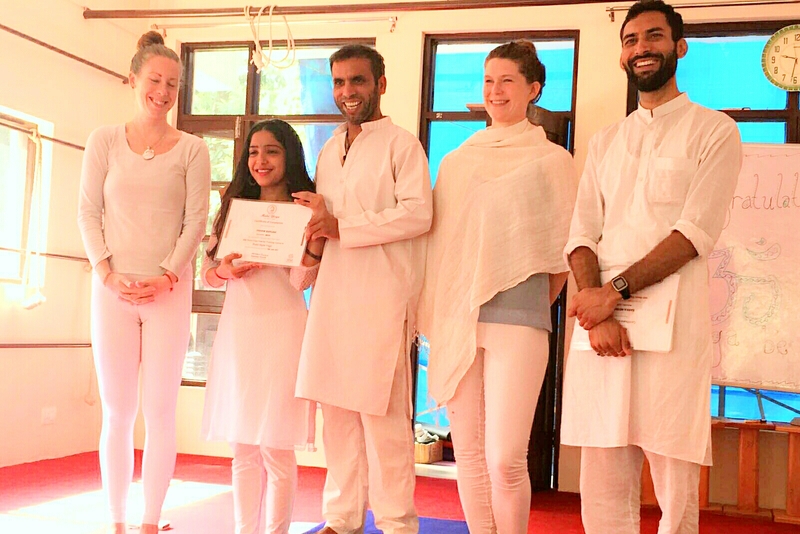 I practice yoga since a long time and I teach yoga since three years.I did the 500 hours teacher training course with Mahi….It was an amazing experience for me. The practice and the friendship with Mahi were something that I am not going to forget in my life. He is very professional in all the topics that we were learning and every class is a different experience. We were practicing asanas, pranayamas, kriyas, meditation, mantras and more. We were teaching with him in his classes and we had the opportunity to teach alone also. He is creative, funny and serious at the same time you can really enjoy with him. If I had to take the decision again, I would like to do it again with him. Thank you, Mahi! 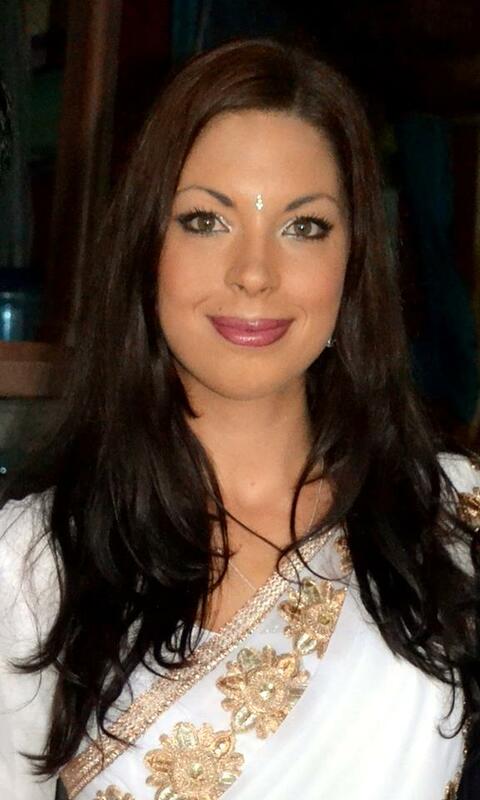 My name is Celine, I attended the 200hrs Yoga Teacher Training with Mahi in Goa, January 2012. I spent a great deal of time with Mahi, both as a drop in student and in the teacher training. His methods are thorough and lead to a greater understanding of what yoga really is. He uses props where necessary to adjust students into the proper alignments, so as to fully benefit from each asana. Enthusiastic in his role as a teacher and therapist, he generously proceeds to explain the therapeutic benefits of the asana careful to mention that those suffering from a particular ailment should not do the pose and puts them in a pose that not only suits their condition but also heals through regular practice. In the Teacher Training Course, he is attentive to each of his student, always correcting, encouraging and sharing profound information throughout the course. An experience I will never forget, life changing in ways that cannot be described in words. I recommend it to anyone interested in a healthier way of life, even if you don’t necessarily want to become a teacher. I have developed self-discipline, more confidence, the valuable information I can use for the rest of my life and so much more. See you at the next course! There are so many great things to say about the TTC course that Mahi runs in Bhagsu, You learn Pranayama, Asana (correct position/function/benefits/history/mythology/adjustment), Meditation, Philosophy, Anatomy, Mantra, and the best thing about Mahi’s TTC yoga course is that he gives his students actual teaching experience, and the confidence to teach on their own. As for Mahi himself, he is a great teacher who views all his students as his children, and his knowledge of yoga is vast. He taught me so much both inside and outside the classroom. Thank you, Mahi. I hope to see you again. 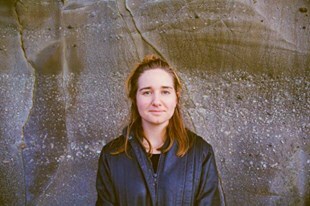 I completed the 200 hour Yoga Teacher Training with Mahi in Upper Bhagsu, McLeaod Ganj, Dharamshala in May 2011 and I am now teaching yoga in Australia with confidence. 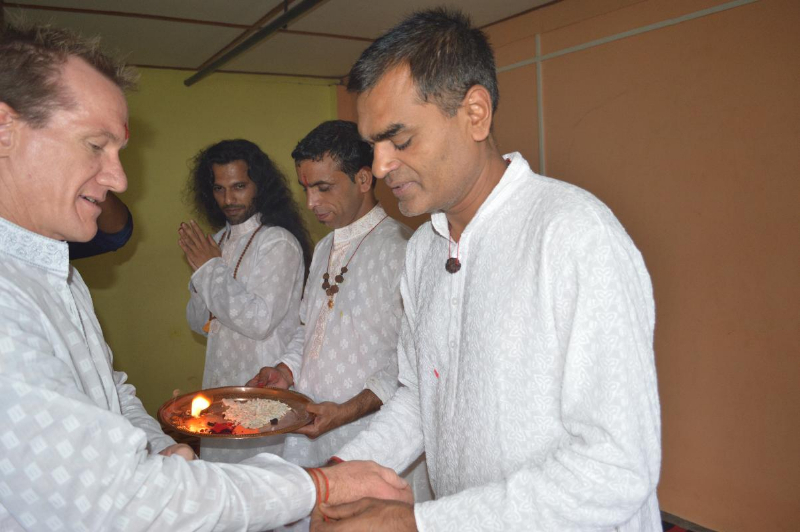 I chose to study with Mahi after researching and trying many different teachers and ashrams in Rishikesh because of his strict attention to detail regarding posture and alignment. You couldn’t find a better value for your money. He taught us how to use props so people of all shapes and sizes can get the best stretch for their body type safely and effectively. The small TT class meant that we got a lot of personal attention and Mahi was always available for his students. The studio is located in one of the most beautiful and special places I have ever been. A few minutes walk from the residence of the Dalai Lama, I cannot think of an ideal place in India to learn and heal. The time I spent in the YTT was a major changing point and one of the best times in my life. I found a new peace and my posture improved as did my confidence and yoga practice. I cannot wait until I can go back to India to study more with Mahi. During my travels in India three years ago I met Mahi and his yoga center in Dharamshala and knew I have found my teacher! I graduated the 500 hours Teacher Training Course with him in June 2012 and got the chance to share my love for yoga with more and more people. The Teacher training was an unforgettable experience for me. I had the best time in the world in the beautiful mountains of Dharamshala and learned more about myself and about yoga then I had my whole life. Mahi is an amazing teacher with an incredible amount of knowledge and I am so grateful that I got the opportunity to train with him. Thank you! Do yoga be happy! This is the guy whose brain you want to pick! I took a drop in classes with Mahi in Goa, 2012. It was a great experience! He teaches with passion, discipline and a good sense of humor. In his class, I really got an insight of Yoga and what it can be for me. Mahi has a really good eye for people’s physical health and capabilities and can adjust and advise. It’s really interesting to hear and he takes your questions and concerns seriously. My feet and knees are really happy to have met Mahi and I even told my doctor about it 🙂 If you have an interest in Yoga at all – This is the guy whose brain you want to pick! You want to know what he knows! I’ll be back in October, see you! Some things we did in class seemed to be impossible even to come close to do, because I was really stiff in some places of my body, but even here Mahi knows how to help, always feeling the right moment to push you to a bit higher level of doing specific asana (but always asking people if he could adjust first!) – so I never felt hopeless, even though in some of the postures I really used to be! When it’s absolutely impossible to do yoga correct without – Mahi asks to use some blocks and/or belts, which I found really helpful for some postures. And hanging on the belt upside down was great as well! The beginners love it, just like I did on the 1st of May 2012, when I came to the class first. Sometimes Mahi even tells the stories about the asana’s origin from Hindu mythology. After two months of almost uninterrupted practice, I really awoke the love to yoga in me! Thanks to Mahi and all of his assistants to that, especially to Lior, who helped a lot! Now I seriously consider the option of coming back for teacher training course with Mahi since he really knows a lot about the subject. Also check out our Videos Testimonials. I loved the 200-hour YTT at Mahi Yoga that I even did the 300-hour YTT! !